June 2015 saw the old classification and labelling system, known as CHIP, come to an end. It has now been replaced with the direct acting Classification, Labelling and Packaging Regulation (CLP). So if you haven’t got your house in order, read our article on how to become complaint. The CLP Regulation came into force across all EU member states (including the UK and Ireland) in June 2009. It replaced the Hazard Information and Packaging for Supply Regulations gradually. From 1 June 2015, nearly all elements of CLP came into force. 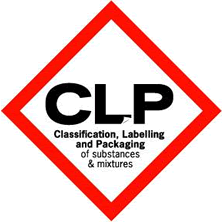 CLP Regulation ensures the hazards presented by chemicals are clearly communicated to workers and consumers in the EU through classification and labelling. According to ‘Safety Signs and Signals’ (revised 2015) from the HSE, it states that when using signs on containers and pipes, each should be ‘labelled with the relevant pictograms in according with the CLP Regulation’. Therefore all chemical containers must now employ the new labelling system. The old GHS labelling system has been slowly phased out since the new regulations were drafted in 2009, and organisations were given a six-year time window to update to the latest CLP labelling regulations. As of June 2015, ‘You must use the most appropriate CLP sign and cannot create variations’. The signs and labels must be placed on the side of a container that is clearly visible and needs to be durable. It is strongly advised to keep SDS sheets in close proximity to the storage area. Co-workers need to have immediate access to vital information regarding each chemical in containers and the store, in the case of a spill or injuries caused by exposure to specific chemicals. The old orange and black labels have now been replaced with white and red diamond labels detailed below. 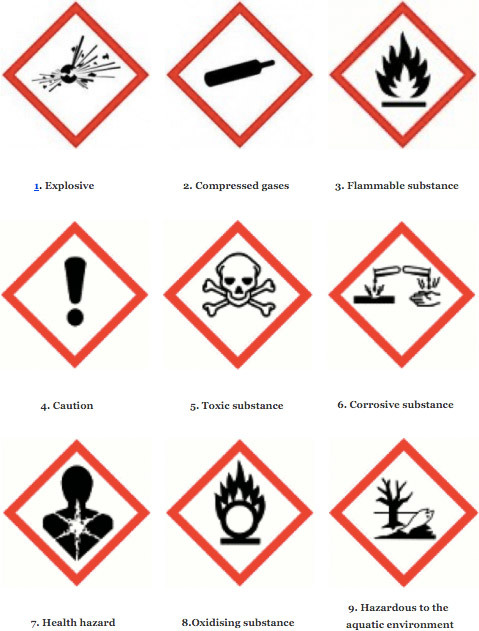 Chemstore supplies a comprehensive range of safety signs to meet your regulatory requirements, which you can view here. SEVESO III is the principle piece of legislation relating to the prevention and control of major chemical accidents. Dangerous substances are grouped by their properties i.e. fire and toxicity. The DSD (Dangerous Substances Directive) is to be replaced by a European regulation for Globally Harmonised System for the classification, labeling and packaging of chemical substance and mixture (CLP). Currently only “very toxic” and “toxic” materials are covered under the Seveso II directive. Under Seveso III the catagories 1, 2 and 3 for inhalation exposure routes and catagories 1 and 2 for oral and dermal exposure routes will be covered. Under the new directive more acutely toxic materials previously considered harmful will be brought in under category 3 materials. This will have significant affect on companies who handle such materials. Companies will now need to collate appropriate documentation that was not required in the past. They will need to prepare a MAPP (Major Accident Prevention Policy), A Full Safety Report and there will be frequent inspections from the Competent Authority. Seveso III is now required to adhere to the Aarhus Convention on public information. 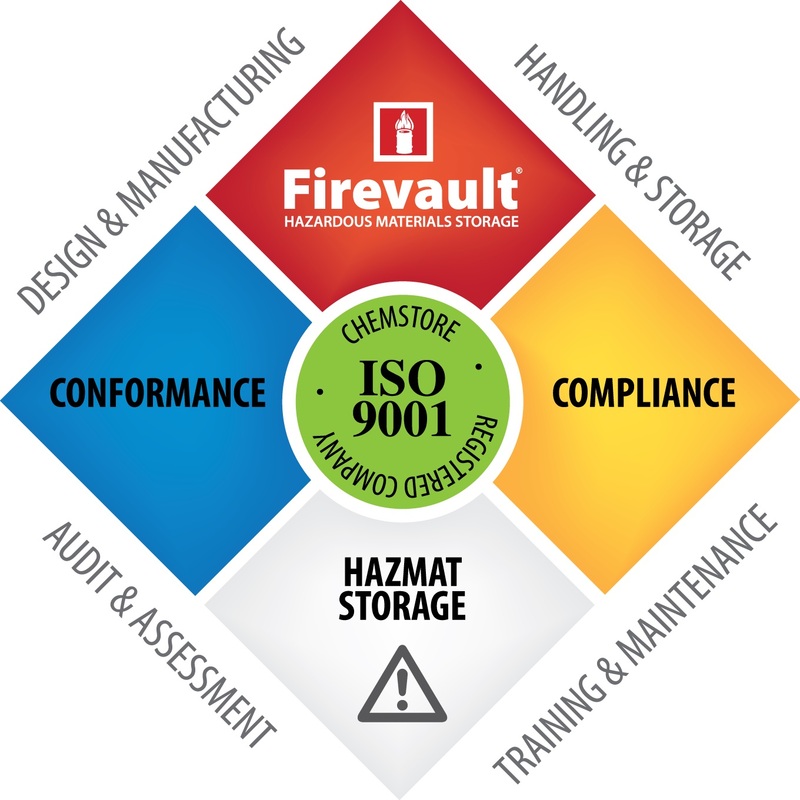 Companies have to provide information relating to their activities that in this case refers to their storing and handling of Hazardous Materials, their MAPP and their Safety report. They must make available to the public and the relevant authority their process hazards and the control measures they have in place. Seveso III places more emphasis on inspection. Routine inspections of all establishments will be based on their risk profile. Additional inspections will be carried out in cases of non-compliance. The SEVESO III Directive comes into law by June 2015. All companies must be compliant by then. Companies must not wait until this date to take action.